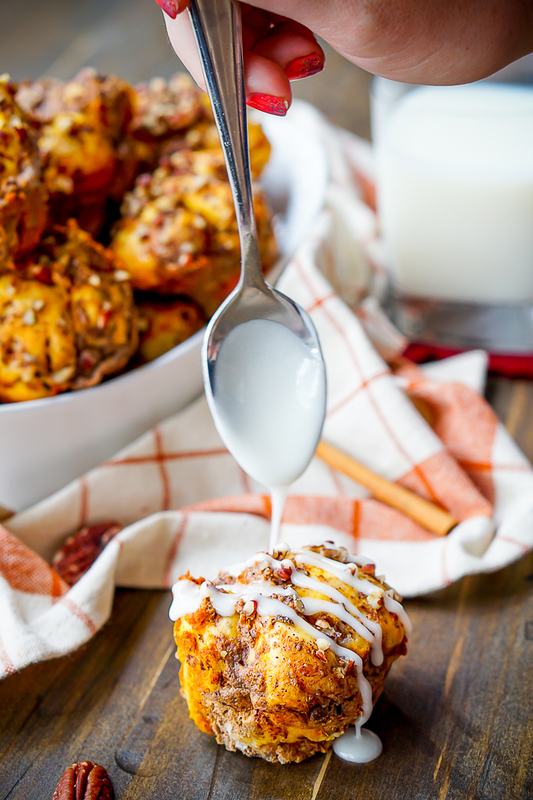 Pull Apart Pumpkin Cinnamon Roll Muffins make the perfect fall brunch and holiday recipe! Two years ago, I shared a recipe for a Pumpkin Cinnamon Roll Casserole! It’s a delicious brunch recipe that is perfect for sit down fall brunches. Plus, how can you ever go wrong with cinnamon roll anything? Since I love this recipe so much, I decided it was time to revisit it and make a version that was easier for more casual get togethers and large gatherings. 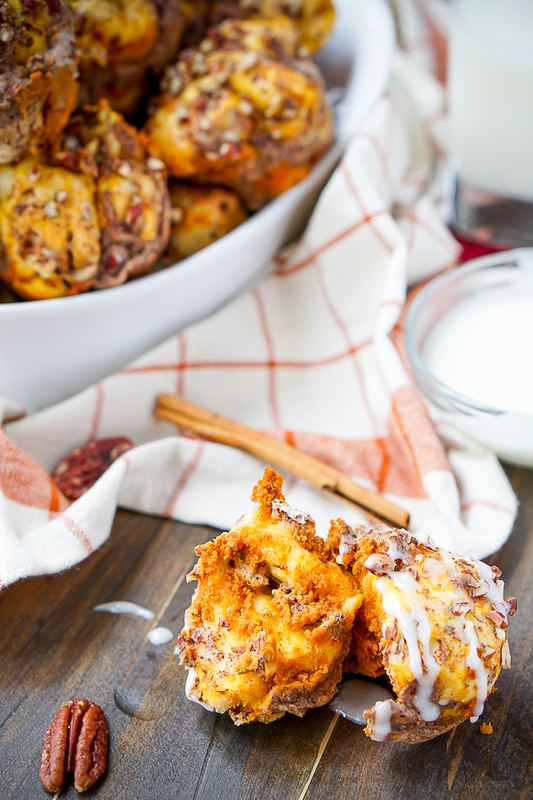 Enter these Pumpkin Cinnamon Roll Muffins! 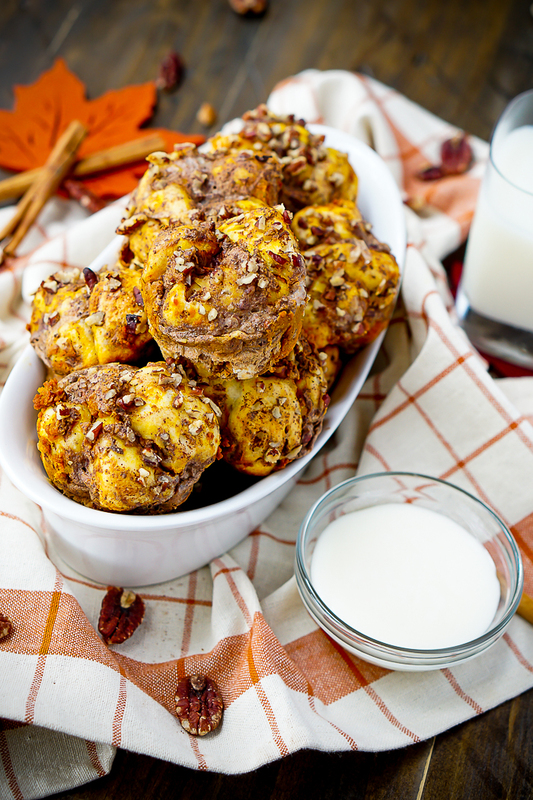 These muffins have all the amazing flavor and fluffiness of the Pumpkin Cinnamon Roll Casserole in small, individual serving sizes. They are perfect for taking to get togethers or even work, which is what Bryan did with this batch. More importantly, I think they are perfect for Thanksgiving. Everyone is always so busy prepping and cooking Thanksgiving morning that having easy baked goods for eating on the go makes things easier while also starting the holiday off with a tasty treat! Toss the rolls into the pumpkin butter and then place into your muffin tins, filling 2/3 of the way. In a bowl, whisk together the eggs, cream, vanilla, and spices until well combined. Pour the mixture over the cinnamon rolls, filling 2/3 of the way. If you want to use homemade pumpkin butter, check out my easy Crock Pot Pumpkin Butter! 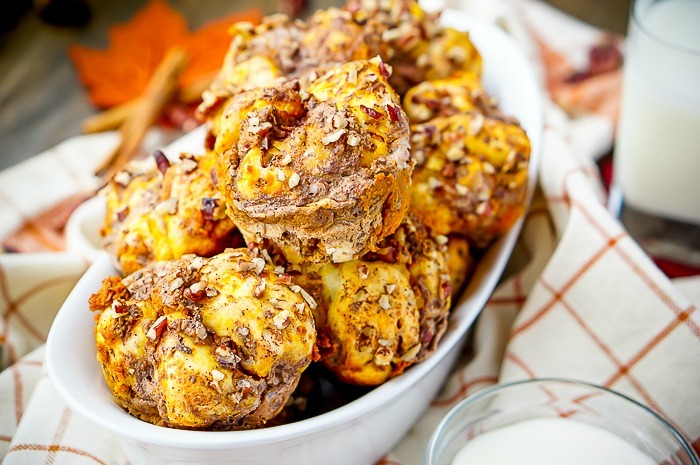 It’s great for baking recipes like these Pumpkin Cinnamon Roll Muffins, but it’s also amazing to put on top of toast and biscuits. These look delicious! Can’t wait to try them soon! Also loving the apple pie muffins!